Choosing Your Shed – Follow these five steps to help take you from plan to perfect choice. Customise Your Shed – Customise with doors, windows, ventilators, plus many more accessories. What Makes a Ranbuild Shed Better? – Find out what makes Ranbuild a market leader in it’s field. Warranties – A direct written warranty between the customer and BlueScope Steel. Shed Builder – Ranbuild’s new Shed Builder app allows you to create and customise your own shed or garage in 3D. Shed Builder (Desktop) – The original Shed Builder desktop app allows you to create and customise your own shed or garage in 3D. Ranbuild AR – Ranbuild’s new augmented reality (AR) app allows you to visualise 3D models of our sheds and garages. Ranbuild AR Brochure – Download the AR Brochure to use in conjunction with the Ranbuild AR App. To DIY or Not – Thinking about building yourself? We’ve got you covered. Reviewing Your Quote – We’ll help you go through all the elements in a Ranbuild quote. Gaining Approval – Before you buy your shed, you need to make sure that it has building approval. Laying The Slab – For most sheds, a levelled concrete slab foundation is essential. Building Your Shed – Ranbuild supply detailed assembly guides specific to the shed you are building. Call The Professionals – Unless you’re a professional tradie, there are some jobs you’re not allowed to do. Ranbuild – Ranbuild has been supplying sheds, garages and steel buildings for 70 years. Our Dealers – Ranbuild has an Australia-wide dealer network with over 120 dealers. Our Sales Process – When buying a Ranbuild shed or garage we have a step by step sales process. BlueScope Steel – Ranbuild sheds & garages are made from 100% Australian made BlueScope Steel. LYSAGHT® – For 150 years, customers have relied on Lysaght as the trusted experience in steel. COLORBOND® – Ranbuild sheds & garages use COLORBOND® colours for all our steel buildings. Our Suppliers – Ranbuild uses only the best suppliers to complement our Aussie made sheds. Australian Made Steel – All Ranbuild sheds and garages use Australian made BlueScope Steel. ShedSafe – All Ranbuild sheds and garages are built ShedSafe to Australian Standards. Ranbuild Dealer Opportunity – Ranbuild are looking for new dealers throughout Australia. Latest News – All the latest news from Ranbuild. Promotions – Ranbuild promotions and sales, great savings across our entire range. Events – Ranbuild’s list of upcoming events can be found here. Video – Watch the latest videos and commercials from Ranbuild. Brochures – Find all the latest Ranbuild buyers guides here. Request a Quote – Click here to request a quote for your new Ranbuild shed. Find a Dealer – With over 120 Ranbuild dealers Australia wide, find the closest dealer near you. Ranbuild Contact – Contact details for the Ranbuild head office. What Makes a Ranbuild Shed Better? There’s something very special about the relationship between Australians and their sheds. It’s not just the place we go to do things or to store things, it’s a place we go to simply be. Tinkering, rearranging or cleaning out are perfectly respectable pastimes for a quiet Sunday afternoon. A good shed not only protects your belongings and gives you extra workspace, it becomes part of family life and should last the life of the family. From storage for everyone’s bikes and vehicles to a teaching place where the kids learn which nail to use, to a craft space where you don’t need to clean up every time. Whether you’re thinking of a small carport, a medium-sized garage with some work space, or even an expansive structure as part of your farm or business, a shed is the most cost-effective way of gaining highly usable space in a reasonably short time. A good shed also adds value to your home or property and is a much treasured asset that improves the overall worth of your patch, not to mention the intrinsic benefits of such a useable and pleasurable space. Sheds come in a range of materials, but the most versatile and simple is steel. Steel sheds, garages, carports and farm sheds are available in a huge variety of prefabricated designs and can be configured to your exact needs. They provide the perfect balance of looks, cost, ease of building and recyclability. Choose sheds made with BlueScope Steel products, such as COLORBOND® steel, ZINCALUME® steel for guaranteed strength and durability designed for Australian conditions. All Ranbuild sheds, garages, carports and steel kit buildings meet the requirements of the BCA (Building Code of Australia) and Australian Standards, are guaranteed ShedSafe and are engineered specifically for your site, the conditions and purpose. Your Ranbuild Accredited Dealer can provide evidence of compliance to these requirements to give you peace of mind that the building and construction is compliant to all relevant codes and standards. Before choosing your shed, set out clearly what you want and need, and then talk to your local Ranbuild dealer to find out which style and size of shed best fit your needs. All our sheds can be supplied as prefabricated steel kits for DIY options (sometimes described as supply only) but for most shed projects, unless you’re a tradie or an experienced owner-builder, you’ll usually find it better to buy your shed as a supply and install option, where the Ranbuild dealer will manage all the approval and building process for you. Regardless of whether you plan to buy your shed as a DIY option or supply and install, you must make sure it has council approval. Your Accredited Ranbuild dealer can help with this process or even do it for you as part of their overall service. If you want to undertake the council approval process yourself and are confident in making your own application, the process isn’t as hard as it looks. All Ranbuild sheds are built shed safe. 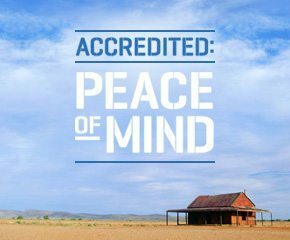 ShedSafe is an accreditation scheme managed by the Australian Steel Institute, designed to assist shed buyers in making an informed purchase decision. Ranbuild’s new Shed Builder app allows you to create and customise your own shed or garage in 3D.